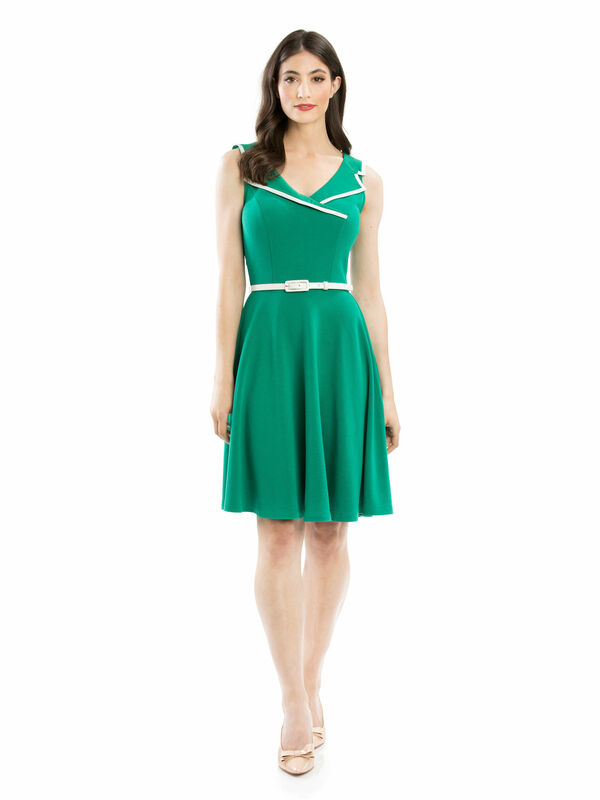 Serendipity Dress https://www.review-australia.com/global/serendipity-dress-emerald-green/RE19DR291.REGRN067.html Sporting clean lines and a subtle retro vibe, the Serendipity Dress is set to be a new wardrobe staple. 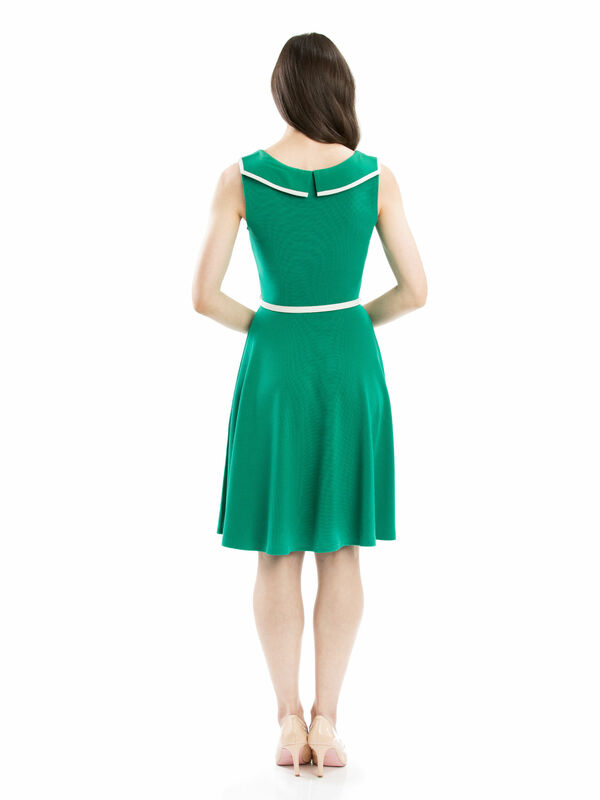 It's crafted in a stretch mid-weight fabrication and is gently fitted through the bodice. Contrast white trims and a removable patent belt at the waist add structure to this knee-length dress. Wear with a cropped cardi and heels for workwear or dress up for evening with a red lip.